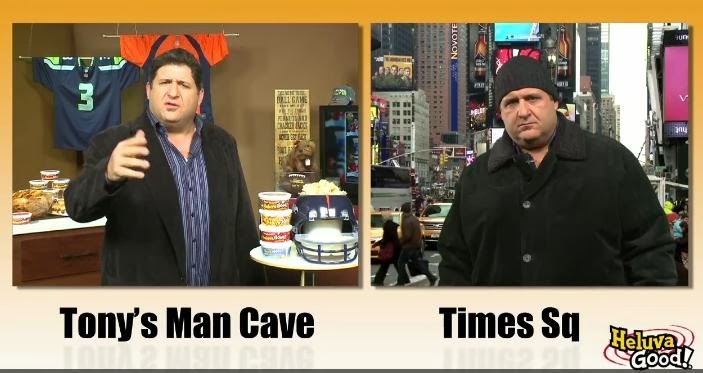 Man Caves Host and Super Bowl XXXV champion Tony “Goose” Siragusa has teamed up with Heluva Good! Dips and Cheese for the “How Do You Watch?” Sweepstakes. Fans will get the chance to win the ultimate game day get-together with the “Man Caves” Prize Package. In a funny new webisode, Tony shares his favorite game day snacks and details on the prizes - which include a snack helmet, mini fridge, and a brand new sound system and TV. Fans can watch the webisode on the Heluva Good! Facebook Page and take the quiz to find out their game-watching personalities. Then they can enter the Heluva Good! Sweepstakes for a chance to win big!